HWMO, HFD, and Puako Firewise Committee teamed up to conduct a hazard assessment on December 2. On December 2, Puako Firewise Committee checked another major box off the list to become a Firewise Community as of 2016 (neighboring Waialea is also on pace for certification this year). Committee members, along with HWMO and Hawaii Fire Department, caravanned through the subdivision to note common wildfire hazards and good Firewise practices already being implemented. 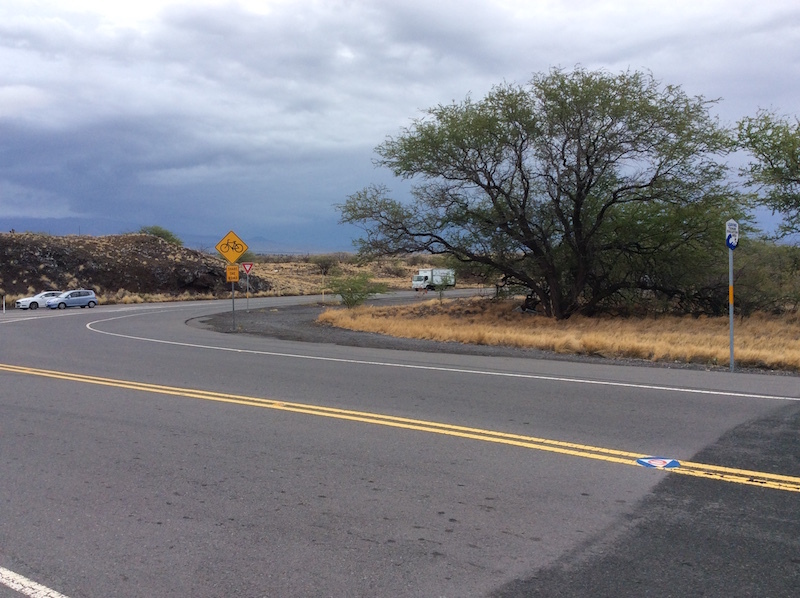 Although the community has taken major steps towards wildfire protection by creating a large fuelbreak on the mauka side of the subdivision, homes are still at-risk of wildfires, especially from lofted embers. There is still much work that should be done directly behind homes on the mauka side — the Puako Firewise Committee is ready to take on this challenge as one of their next steps for the coming year. For now, the committee is bracing for a Firewise Community certification that has been a long time coming for them.